Where did the idea for Euan’s Guide come from? Euan´s Guide developed from a series of personal experiences. 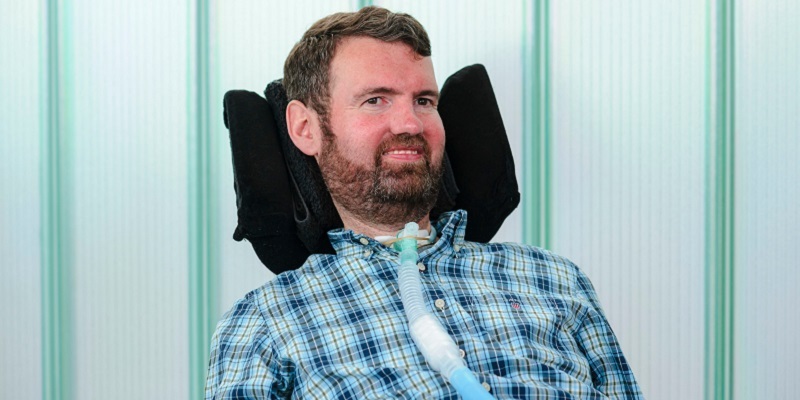 When I was diagnosed with Motor Neurone Disease (MND) in 2003 it was the start of a journey for me and my family and friends. MND is progressive condition, so each year has thrown up different physical challenges. I have gone from being ambulant disabled to a manual chair user and now a powerchair user. I had to adapt to the physical environment around me. I couldn't have faced and overcome these challenges without family and friends - and it was experiences gained with them that inspired me, my sister Kiki and my dad Donald to set up Euan´s Guide. The website is all about sharing. We wanted to share the knowledge we have built up, and also learn from others. As my access requirements changed, we developed a list of "go to" places in and around Edinburgh which we knew had good access. We knew other people did the same, but there was no platform for us or them to share this. How did you establish Euan´s Guide as a tech start-up? We knew what the problem was, and technology provided the solution. We started the process of setting up a website and the first meeting was held round our kitchen table in early 2013. Like many start-ups we came to it without experience - we just had our idea. With a little bit of courage, jobs were left behind and Euan’s Guide became a full-time project once we received our charity status. Our mission wasn’t to make a profit, but to build something that could help disabled people by and taking the stress out of going places and trying new things. Next it was time to grow the Euan’s Guide team! Eventually, we set up in our own office – one that was on the ground floor and wheelchair accessible - surrounded by other creative types and tech start-ups in Edinburgh. Now we have a team of people who all care about sharing disabled access information. Together we moderate reviews, look after social media, meet reviewers, write news stories, plan events and so much more! Were you looking to give disabled people a voice? Yes. The first thing to point out is the dearth of quality access information that's available. A visit to a coffee shop or music venue can become a major research project, involving hours of phone calls and internet searches. We want to simplify that process and make it quicker. The second point is about the quality of information. There is nobody more qualified to provide feedback about accessibility than disabled people, and often their families and friends. Visitor reviews are now a well-established and understood method of providing feedback. While many people question whether reviews are trustworthy, I know that in my situation I'm more likely to trust an endorsement provided by a powerchair user in a similar situation to me than a sentence on a website that says there is ‘disabled access’. Euan’s Guide takes a pan-disability approach – reviews aren’t just for wheelchair users but for all disabled people. We know that while access might be good for one person, it may be impossible for another! Disabled access reviews help to make this information clearer, and can often clarify what is written in access statements and on the websites of various places. What is the ethos of the site? The site is built by disabled people for disabled people and we are a registered charity. Reviews written by users of Euan’s Guide are helping to ‘remove the fear of the unknown’. If you like what we do, you can give a small donation to support the site and to help keep us going. What are your hopes for Euan´s Guide? More reviews! Euan’s Guide works best with as many reviews, reviewers and venues listed as possible. This means more people will be able to find information that is useful to them, whether they’re looking for a wheelchair accessible theatre in London or a step-free hotel in the Highlands. Every place that is reviewed will be sent whatever written about them, and as a result we are seeing change happening at all kinds of places. It could something as little as disentangling an emergency red cord, printing some large print food menus, or hiring a portable Changing Places toilet for a large event! We want to be a catalyst for change - and to make disabled peoples’ voices heard.